Catherine Redford on Basting, Batting thickness, Domestic Machine and Webinar! Catherine Redford was born in England where she learned to knit and sew at an early age. 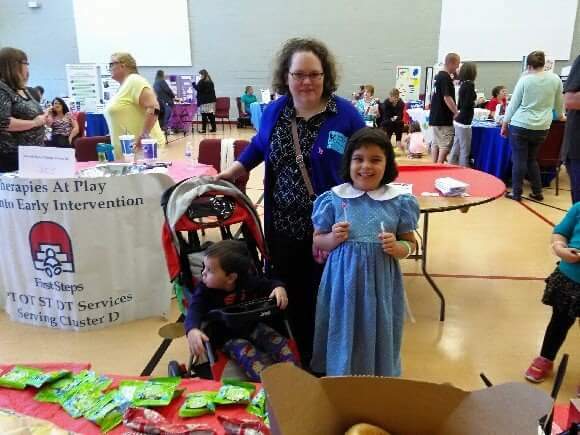 After relocating from London to Naperville, Illinois, she learned to quilt and has been stitching ever since. She's an award-winning quilter, an active member of her local guilds, a BERNINA brand ambassador, a popular teacher at local and national conferences, and the co-founder of the Naperville Modern Quilters Guild. 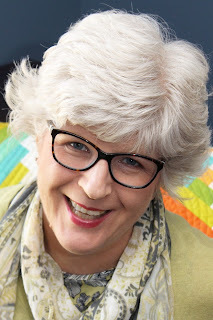 Catherine is a frequent contributor to Modern Patchwork magazine and guest on Quilting Arts TV. 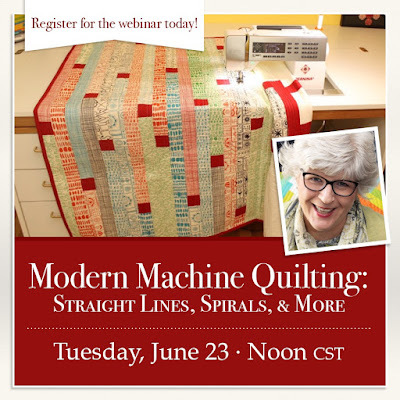 She is the author of a QATV workshop DVD, Modern Machine Quilting and will be presenting a live webinar on Tuesday, June 23rd. 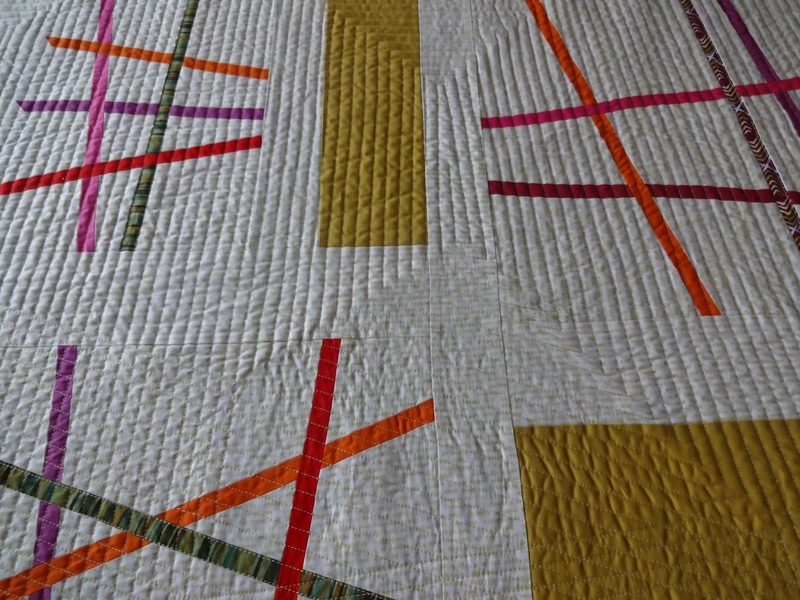 My favorite part of making a quilt (after the fabric shopping bit…) is quilting it. From the time I make my first fabric selections to drafting a pattern, through cutting those fabrics into little pieces and stitching them back together, I’m thinking about how I am going to quilt my top. I think my least favorite part is the basting but it’s so important it’s done right and it does give me the opportunity to see my finished top up really close and personal before it goes to the sewing machine… Basting is definitely an opportunity to listen to something good and think some happy thoughts! When I first started quilting in 1998 there really weren’t a lot of readily available choices in the world of batting. I was introduced to Quilters Dream in 2003 when I started teaching at a local independent quilt store. With a choice of thicknesses and an ever-increasing choice of fibers I now use it almost exclusively for all my projects. To begin with I could never remember which was the loftiest loft. Now I just think “R” comes before “S” so Request is thinner than Select… I can always remember that! I use a lot of Request Cotton. It drapes so well and comes out of the bag ready to go. 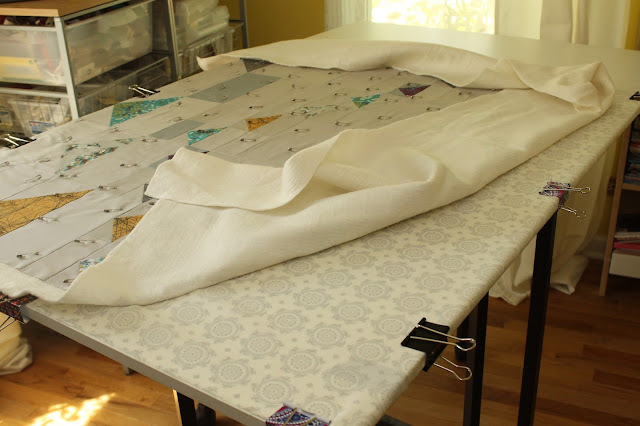 One of the simplest ways to get a large quilt through a domestic machine is to use a lower loft batting and Quilters Dream Cotton Request certainly fits the bill! Quilters Dream "Request" batting is the thinnest/lowest loft. If I want something heavier, such as for a wall hanging, I use the Select weight. I recently purchased king size batts in each weight and the Select one comes in a quite bit bigger bag! That makes a difference when you’re quilting a bed quilt. Quilters Dream "Select" batting is the mid-loft. Excellent choice for hall hangings. Quilted wall hanging using Quilters Dream Batting "Select"
I also like the Quilters Dream Wool. 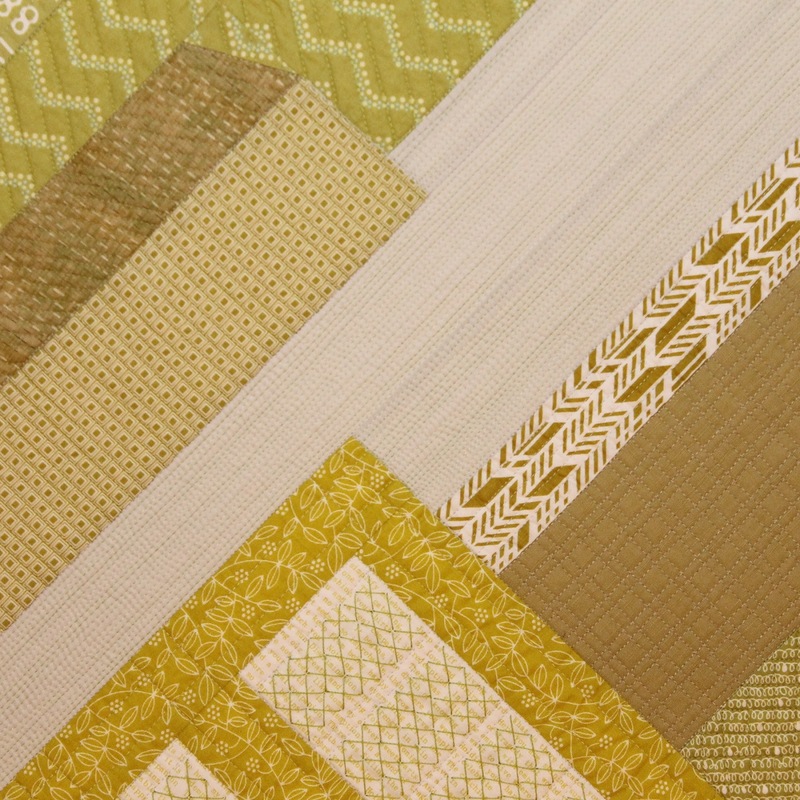 I like to put a cozy flannel fabric backing on my baby quilts but it does add to the weight. Wool batting is lighter and fluffier and balances the flannel. It washes really well. 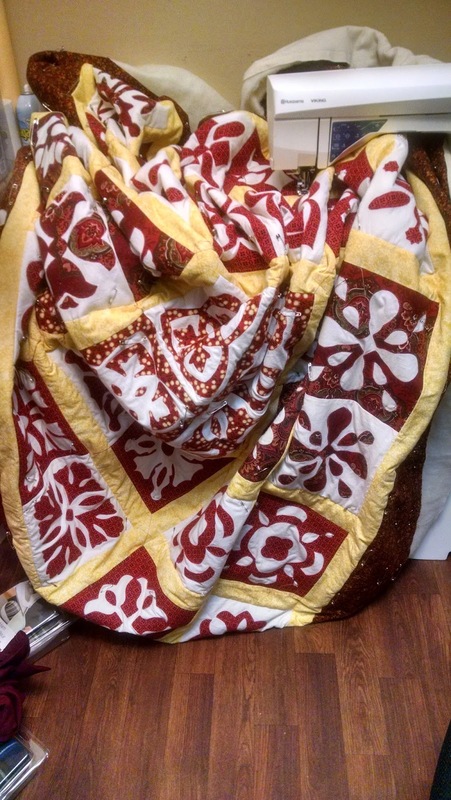 I have machine-washed and dried quilts with wool batting and I’m very happy with the results. 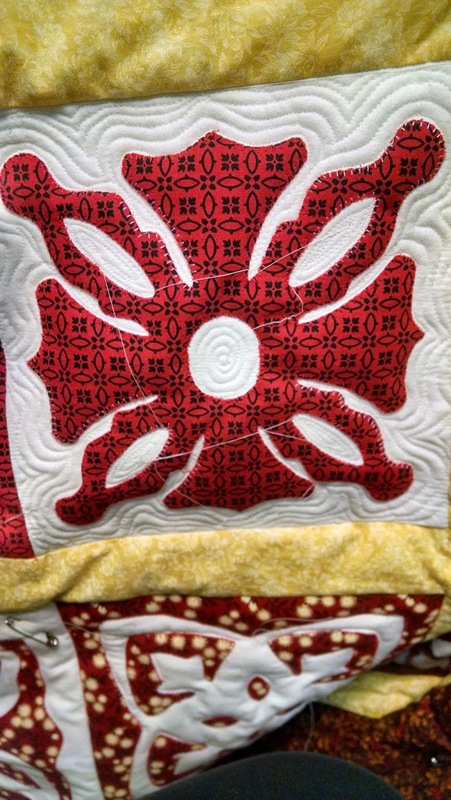 Now I’m enjoying travelling and teaching quilting techniques all over the USA and I always recommend Quilters Dream batting. I’m excited to be taking part in a live webinar next week. I’ll be sharing lots of my favorite techniques and tips for walking foot quilting on a domestic machine. There will be an opportunity to ask questions and get them answered at the end of my presentation. 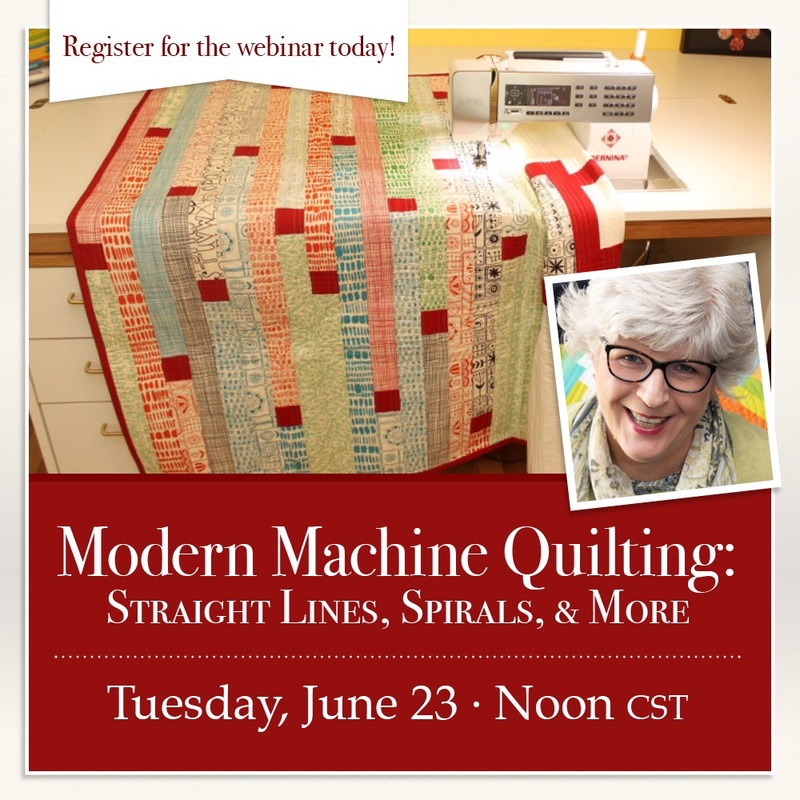 Sign up is on line at http://www.shopfonsandporter.com/product/modern-machine-quilting-straight-lines-spirals-and-more . Each registration comes with access to the archived version of the program and the materials for one year. You do not have to attend the live event to get a recording of the presentation. You will receive a copy of the recorded presentation in an email that goes out within 1 week after the live event. It sounds like fun to me. I hope you’ll join me. I've been quilting for a few years. 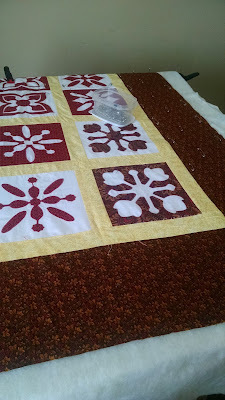 This is the first time I've used Quilters Dream Batting. This is Quilters Dream Wool. Since this quilt is for my bed I want warmth, a little loft for the cuddly feeling (and to show quilting definition) but without the weight of higher loft cotton batting. Wow. I live in an apartment and so have to be creative with basting (done in sections in a table) and quilting space. Unlike other battings I've tried, the Quilters Dream Wool did not stretch, distort or shred while in the basting/quilting process. In the past I've had difficulty with higher loft cotton battings being very heavy and therefore feeding unevenly in the quilting process. I'm almost done with my stitch in the ditch for this and its been a dream. Just floats under the needle light as air. It really is a quilters dream. I'm so glad I picked this batting and I'll definitely use it again. 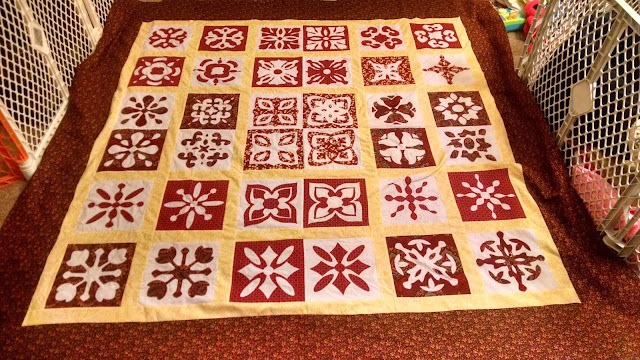 This quilt features piecing, applique and reverse applique. Its reclaimed cotton (from old garments or leftovers from other quilt projects) on the front and flannel on the back. 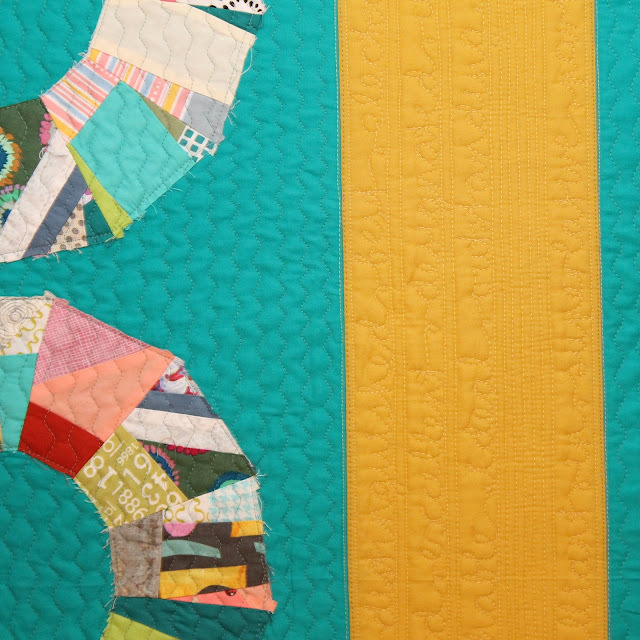 Some of the designs are from "48 hour appliqué quilts" and some are my own.